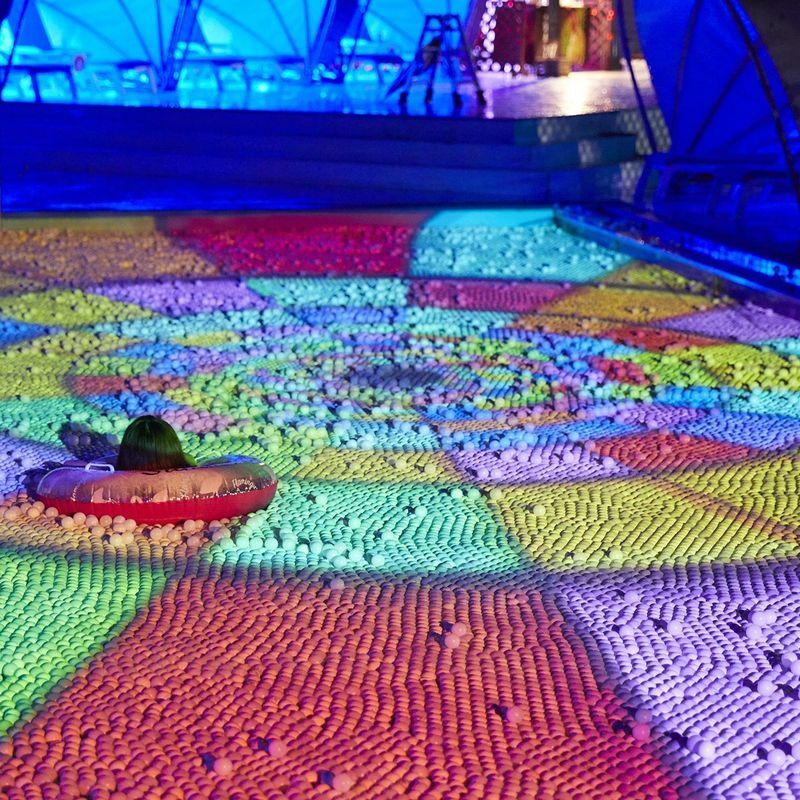 Huis Ten Bosch, the Dutch-themed attraction in Sasebo, Nagasaki, has released details and images of what is set to be the largest water park in Japan this summer. 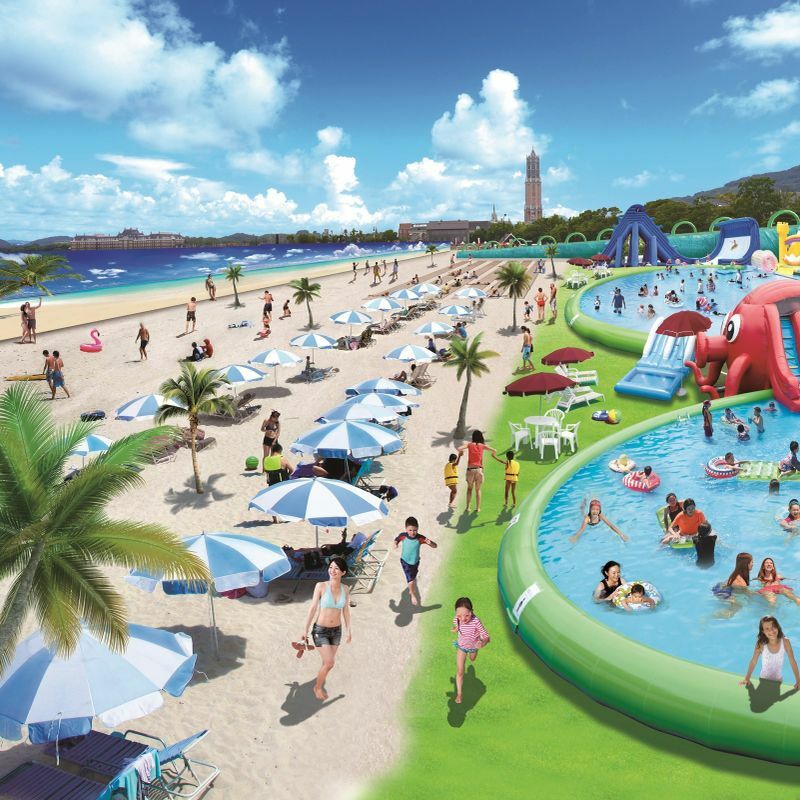 The “4 Dai Water Park” (４大ウォーターパーク) will encompass four distinct swimming pool environments at Huis Ten Bosch with the park newly expanded to include the tropical inspired WAIWAI Beach area, alongside regular attraction Sea King (海キング), itself the largest ocean-based adventure area in the country. WAIWAI Beach, the new pool area for 2018, features white sand, a 90-m long waterslide and the “Boomerang,” another waterslide that park operator, Huis Ten Bosch Co., says will deliver the feeling of riding a roller coaster. 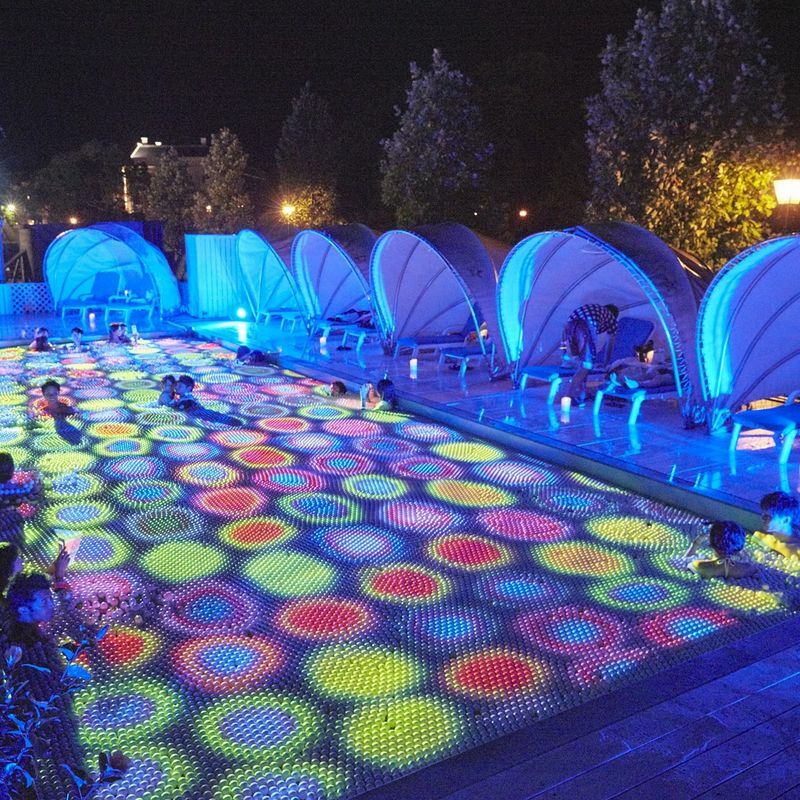 Of the other pools to open at Huis Ten Bosch for the 2018 summer, the “Adult Lounge Pool” will feature projection mapping in the evenings using some 45,000 ping pong balls floating on the pool surface as an object of the mapping, something that images of which operators hope will be a hit on social media. The indoor “OASIS” pool, another attraction catering to adult visitors to the water park, will host foam parties during the evenings. The “4 Dai Water Park” (４大ウォーターパーク) at Huis Ten Bosch is scheduled to open from June 30 until September 9, 2018. Details of the expanded water park come after Huis Ten Bosch Co., announced earlier in March the commencement of trials of a floating capsule hotel at the park with a view to accepting guests in the summer.